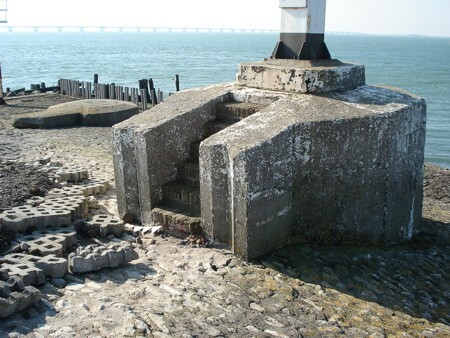 The harbour of Zierikzee lies inland. 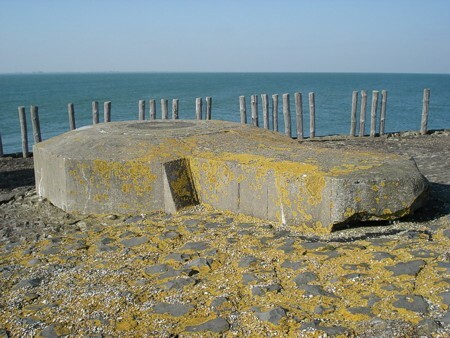 The entrance of the channel to that harbour was defended by a 3,7 cm gun in a tankturret. This is W.N. 341H. 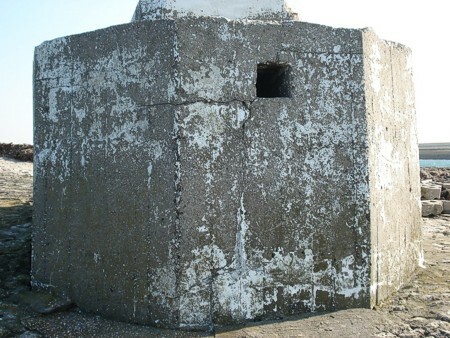 It shows two tobruks, so we think that the high one was used for observation and communication. ... and communication, perhaps a Lichtsprechgerät. The tobruk for the tankturret.